The Queen visited the Corps of Royal Engineers at Brompton Barracks, Chatham, Kent, to mark the 300th anniversary of the founding of the Corps. 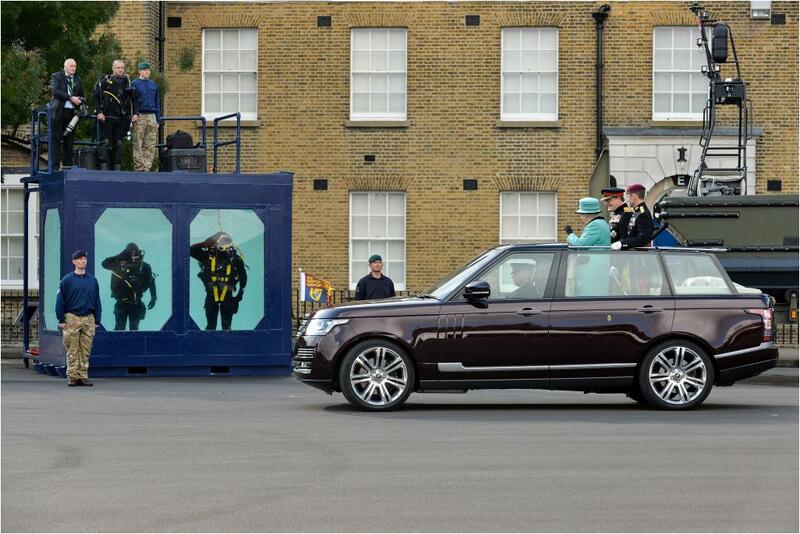 A ride in one's own open top Range Rover, an underwater salute, that's all in a day's work. 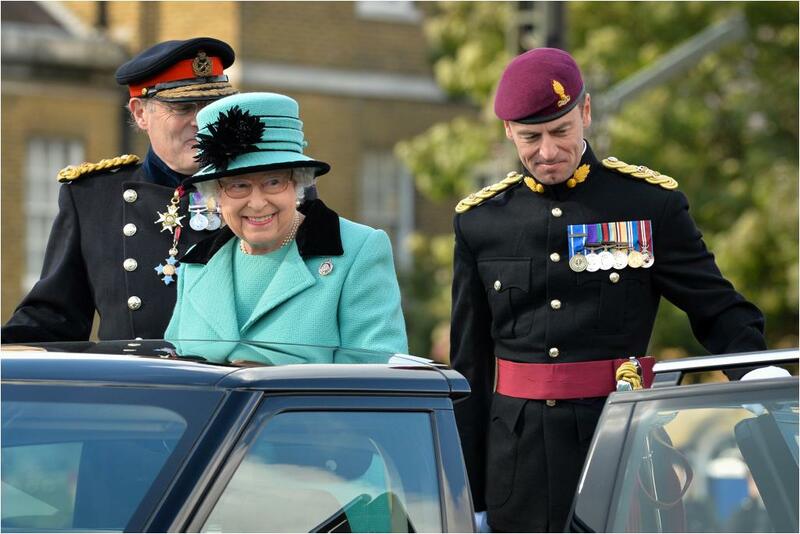 The proper military badge for the group at hand, that's all in a day's brooch.